Alex Ndibwami of Uganda Martyrs University offers his thoughts on the Ugandan context for SAMSET and some information about Uganda Martyrs University. Alex Ndibwami, Mark Olweny and David Mann are working on the project from Uganda Martyrs University. Alex’s main research focus is on user behaviour in the built environment, how this impacts on sustainability, and user behaviour in energy use in buildings. Mark and David will be assisting Alex, bringing their expertise in energy efficiency and thermal performance of buildings; and sustainable urban planning and transport planning, respectively. This entry was posted in Uganda Martyrs University and tagged Africa, Climate Change, Community, Energy, Local Government, Planning, Renewable energy, SAMSET, Sub-Saharan Africa, Sustainable Energy, Uganda, Urban, Urbanization on January 20, 2014 by danielkerrucl. Xavier Lemaire from the UCL Energy Institute offers his thoughts on urbanisation in Ethiopia and the Ethiopian Institute of Architecture Building Construction (EiABC). 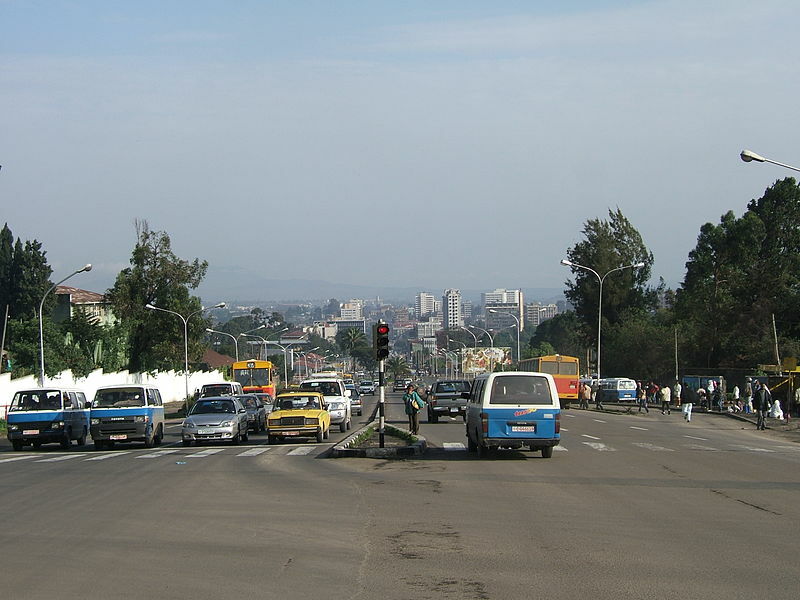 With an annual growth rate of almost 7%, the Ethiopian society is one of the fastest growing worldwide. Addis Ababa alone, as the biggest urban development in Ethiopia, will need to house approximately 4 million people more in 2025 than today. An Urban Management Network (UMN) for Ethiopia has been launched in December 2013 to optimise urban governance and management, and capacity development of civil services in Ethiopia by aligning their activities to create synergy and to promote best practices and create space for policy dialogue. A Memorandum of Agreement has been signed between EiABC, the Ethiopian Institute of Architecture Building Construction and City Development and the Ministry of Urban Development, Housing and Construction (MoUDHC), the Ethiopian Civil Service University (ECSU) and the Ethiopian Cities Association (ECA). EiABC, works notably with ETH Zurich to integrate urban sustainability in the design process in an early stage. The project “Urban Laboratory ETHiopia” realizes a platform for architecture and urban planning on the Addis Ababa University campus. The project’s main target is to contribute to the future development of Ethiopia by researching and publicly presenting various research activities for urgent problems as well as transferring knowledge for planning strategies in urban territories. Other projects where EiABC is involved try to showcase the use of local materials, and research, re-apply and re-invent vernacular building techniques to build Sustainable Dwelling Units. This entry was posted in UCL - Energy Institute and tagged Addis Ababa, Architecture, Cities, Community, Ethiopia, SAMSET, Sustainable Buildings, UCL, Urban, Urban Governance, Urban Management on January 13, 2014 by danielkerrucl.